Please call Barrier Free Plus, Inc at (586) 598-2600 for Macomb County wheelchair ramp installation. A wheelchair ramp may be the next best thing to sliced bread if you are dependent on a wheelchair. Otherwise, building accessibility goes unnoticed to many. And unnoticed can cost you some important health benefits of getting out. There may come a time when your normal route of entry into your home becomes unsafe or impossible to navigate. This could be due to weakness on your part or perhaps frost/root heaves in your sidewalk have made it dangerous to navigate and increases a risk of falling. Whatever the reason, basic home safety should be foremost on your mind. 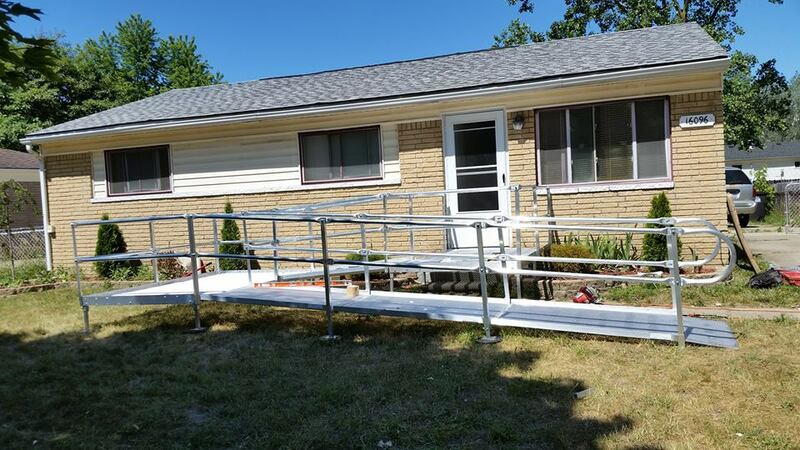 Contact Barrier Free Plus, Inc at (586) 598-2600 for professional Macomb County wheelchair ramp services today. Click here to learn more about our wheelchair ramp installation.